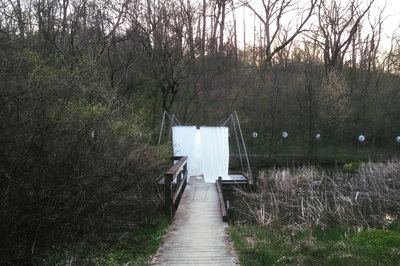 An installation on the water in Burnet Woods. 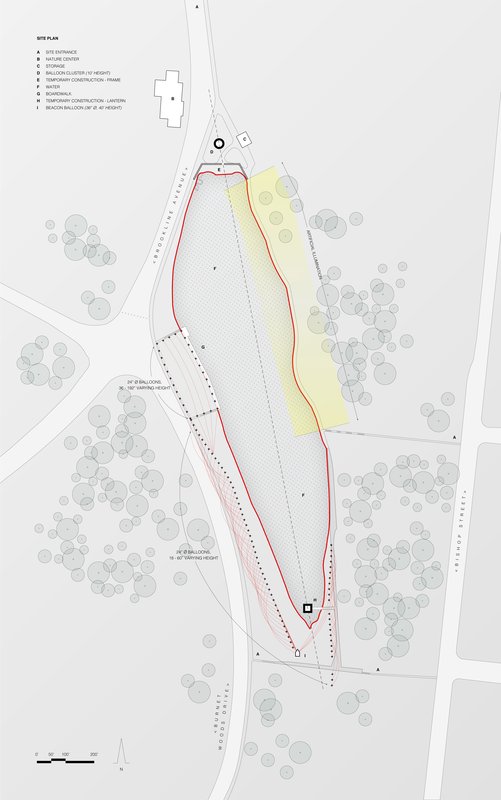 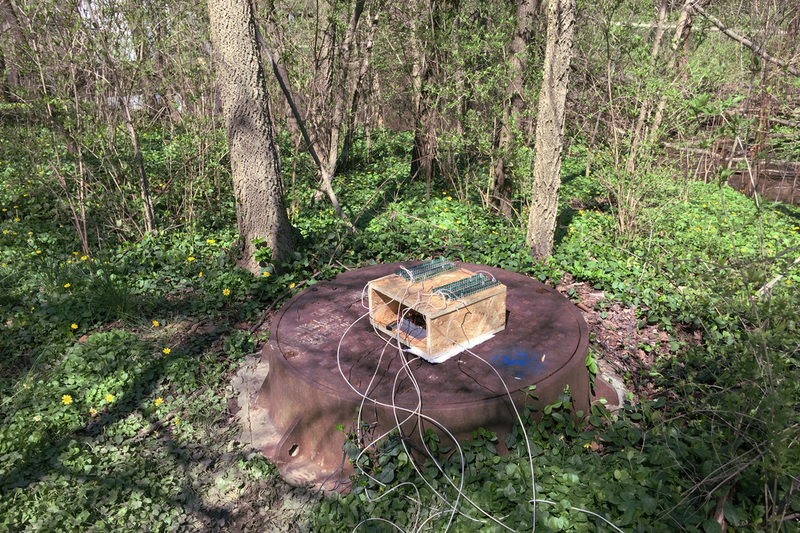 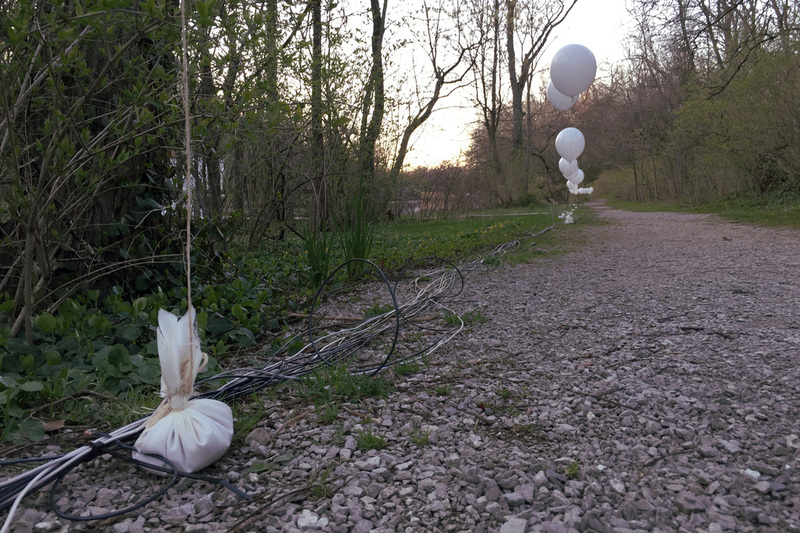 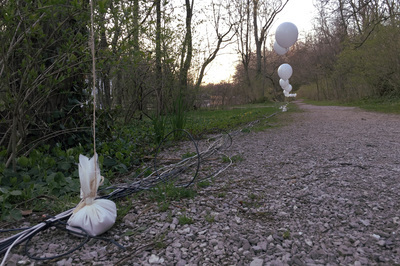 The site for this installation, Burnet Woods, is a secluded park adjacent to the University of Cincinnati. 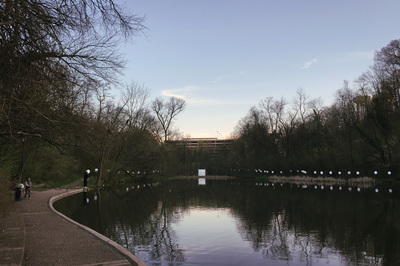 Despite the park’s proximity to the campus and residents of the Clifton neighborhood, it is largely underutilized due to its intimidating appearance. 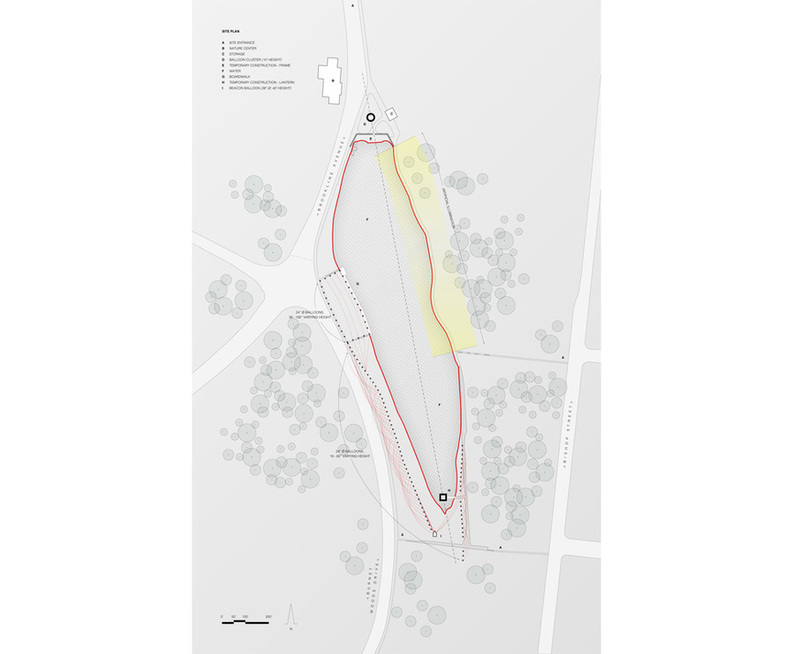 Circuit both celebrates the simplicity of a floating white balloon and identifies the pond in Burnet Woods as a center for activity. 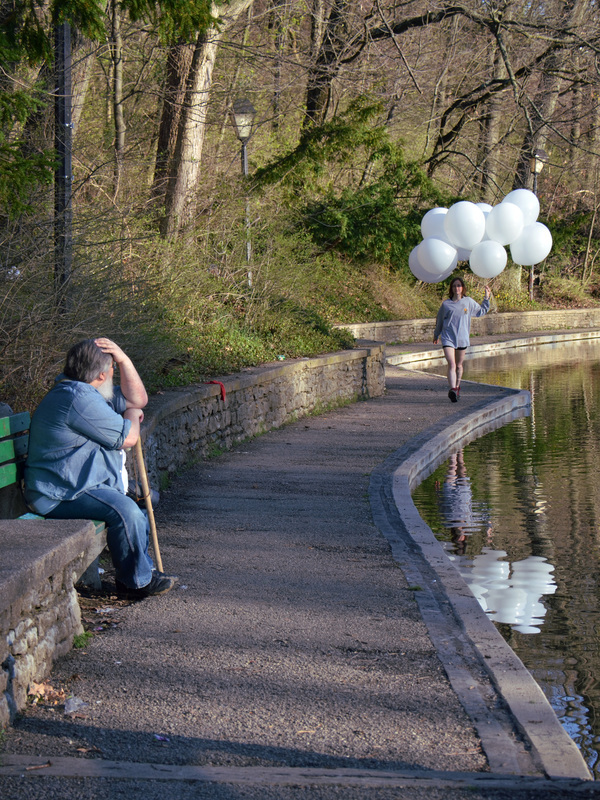 Balloons trace the existing walking path around the water, leading visitors on a passeggiata, or walk, around the pond. 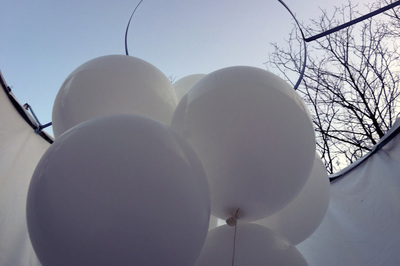 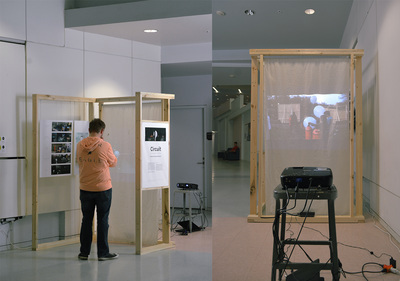 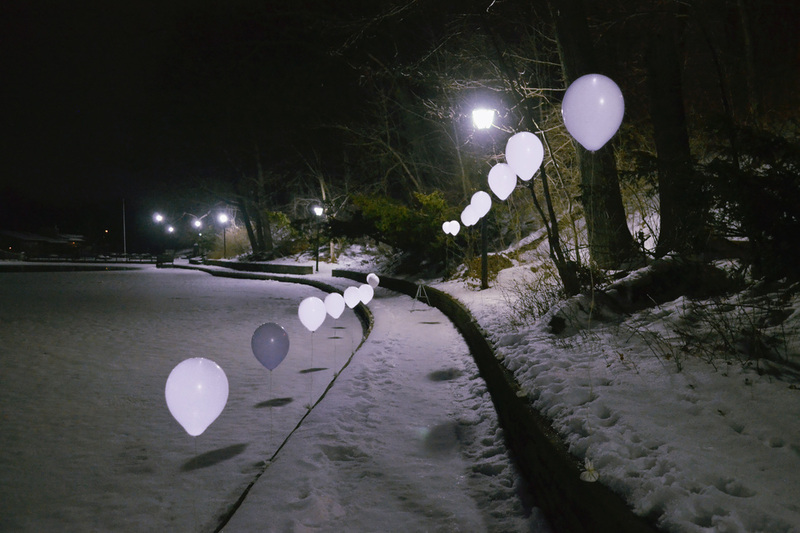 The site-generated installation was the result of a series of on-site prototypes, which became a way to understand the transformative power of the balloon as it relates to site and self. 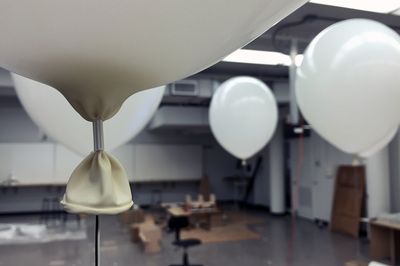 Design decisions relating to balloon placement were made based on mock-ups that also explored illumination and inflation strategies. 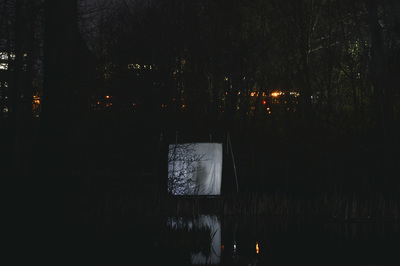 CIRCUIT I from Jonathan Wilkinson on Vimeo. Jonathan received his BS Arch degree from the University of Cincinnati in 2015 and is currently working in Chicago. 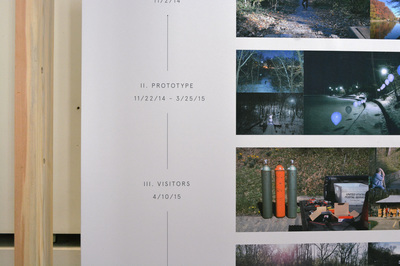 Beyond his background in architecture, Jonathan has a deep interest in visual communication that extends to typography, illustration, and film. 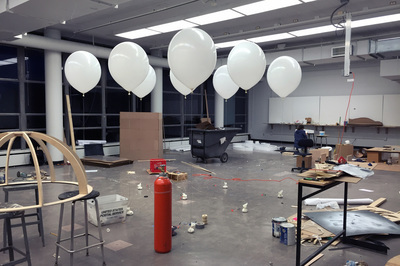 Arian earned his BS Architecture degree from the University of Cincinnati. He plans to pursue graduate studies in the Pacific Northwestern United States, where he currently resides. Throughout his life, his sharp eye for recognizing the many details and visual characteristics that compose the environment around him has inspired a never-ending curiosity for the science of things. Arian’s enthusiasm for observation and exploration now drives a passion for understanding how the details, mechanics, and sensory characteristics of architecture and the built environment shape and define the human experience through time.